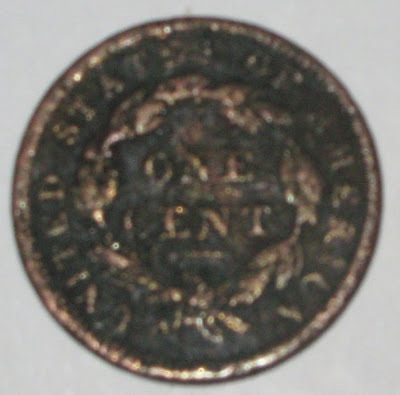 Let's start with the coin pictured above. 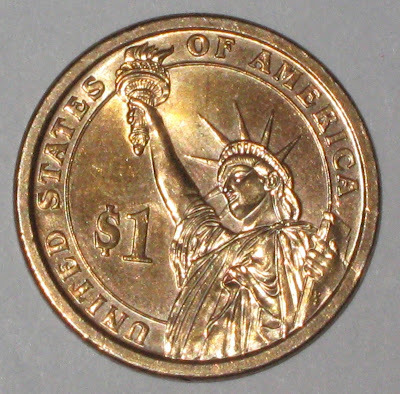 That's a penny--i.e, a U.S. one cent coin. 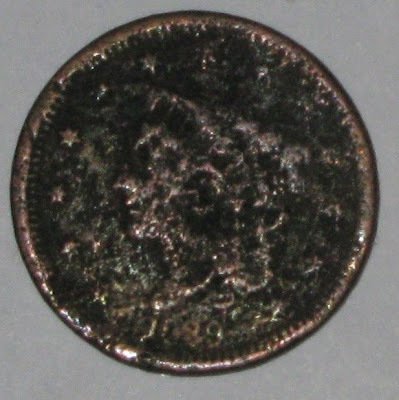 A rather battered 1839 "Large Cent, Coronet Type," according to R.S. Yeoman, the godfather of American coin collecting. 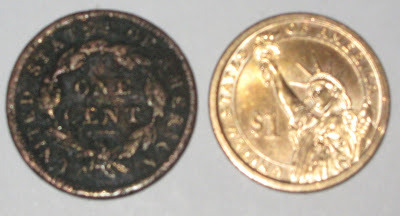 The last "Large Cent" was made in 1859; starting in 1860 the Small Cent (present sized) replaced it. First, note that in this entire essay (until now) I never used the "cent" symbol of ¢ because it's no longer on my keyboard. Why? Two reasons: First, it used to be found over the number 6, where it has been replaced by a ^ carot symbol--largely because a cent ¢ is of so little value people don't generally even think in terms of 'cents' any more. You never see it at a grocery store, even; they use the "$.00" format. Even in pop culture, the term is corrupted (like the rap star known as "50 Cent", who doesn't even bother to use a plural). Furthermore, about twenty years ago you first started seeing (Lincoln) pennies in little boxes at the store: "Take-a-penny-leave-a-penny." Today it's not at all uncommon to see nickels and dimes in the same pots. People don't bother with it any more. Only the quarter, it seems, is still taken seriously for any commercial purpose. 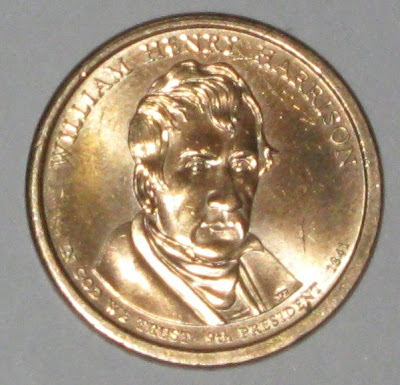 But more importantly, given the present inflated state of the dollar--which stands about $26.50 being needed to buy what $1.00 did in 1913--shoud the dollar undergo another period of heavy inflation (say, 40% inflation for two or three years) the buying power of the dollar and the original buying power of the penny shall be about the same.